A Zimbabwe activist fighting rights violations in the diamond industry has been jailed before an appearance in Tel Aviv. Israel, the 2010 Chair of the Kimberley Process Certification Scheme, will host the annual KPCS meeting next week in Tel Aviv. The KPCS process aims to stop trade in diamonds mined in war zones and sold to finance war or terrorism - often referred to as blood diamonds or conflict diamonds. Maguwu's arrest shortly follows an announcement by KPCS monitor Abbey Chikane that Zimbabwe has met the organization's minimum standards and may resume exporting diamonds from the Marange region. The KPCS nixed sales from Marange in 2009 due to conflict in the region. Despite Chikane's findings, Kimberley Process members remain divided on Zimbabwe's diamonds. The Zimbabwe government plans to attend the KPCS conference in Tel Aviv to defend its record. Maguwu was to attend as well, and to submit his findings regarding alleged human rights abuses perpetrated by Zimbabwean soldiers in the Marange diamond fields. A lawyer for Maguwu said his client has been moved to one of the country's harshest prisons, and has accused police of mistreating him. Maguwu is accused of stealing state intelligence documents on problems in the diamond industry and passing them on to Chikane. 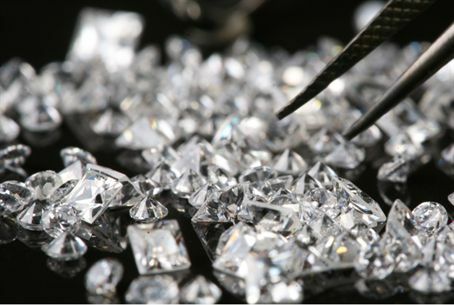 Israel is a world leader in importing raw diamonds and exporting cut and polished stones. In January 2003 Israel became the first country to adopt the Kimberley process.